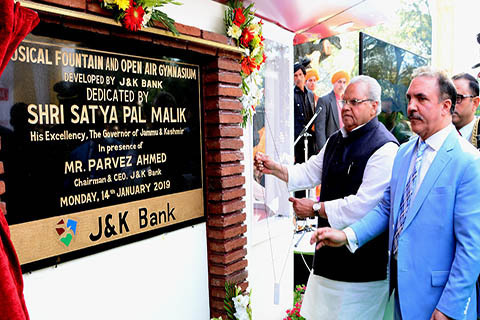 Governor Satya Pal Malik on Monday dedicated a musical fountain and open-air gymnasium to the people of Jammu in presence of the chairman J&K Bank Parvez Ahmed at Canal Road, Jammu. The musical fountain and open-air gymnasium has been installed by the J&K Bank for the citizens of Jammu under its CSR initiative. Paying rich tributes to war hero Brigadier Rajinder Singh, the governor lauded the bank for developing and maintaining the park in the name of a valiant soldier of the nation. 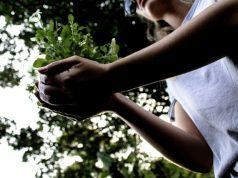 The bank, under its CSR initiative, is maintaining the Rajinder Park. The governor observed that J&K Bank is always at the forefront for delivering the best services to the people and has become an identity of the state. 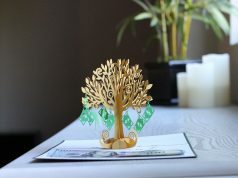 Citing some of the examples of bank’s role in upgrading the social infrastructure like the Rajinder Park and Kashmir Golf Course; and providing support to a football team from Kashmir which has made its presence felt at national level by defeating established Football clubs like Mohun Bagan. Parvez Ahmed, chairman J&K Bank, informed that the bank has been consistently showing profit and in the recently declared nine months results it has reported a profit of INR 250 crore. He assured that the bank is in a very strong position to project a profit of Rs 2000 crore in the year 2022 i.e three years from now.